During the 4th to the 8th September, Ingenia Lifestyle Lara celebrated Women’s Health Week with a series of fun, pampering and educational events. 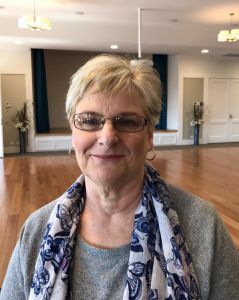 Business Development Manager, Dianna McGrath said the residents did all of the work to pull together the week’s schedule of events with massive support form Ingenia Lifestyle Lara. “The focus was about putting women first and inviting our residents and guests in to attend free events that were arranged by our wonderful group of residents, headed up by Heather Swain. “We started each day with a 10am walk through the community followed by a coffee and tea and biscuits. This was followed by some pampering by Dorothy and in the afternoon Hair Care by Julie. “We had some fun events with craft morning teas, line dancing, yoga/pilates, table tennis and some belly dancing, it was lots of fun and we had lots of laughs. “We also had some wonderful guest speakers from the Corio Community Nurse, a Myotherapist to discuss pain management, Osteoporosis talk by Vital Health Chiropractic Lara and a McGrath Breast Care Nurse providing a lot of great educational information,” Dianna said. Thanks to all who came along and those who were involved in setting up the events, including Heather who has had such amazing feedback from her fellow residents about the week’s events. Resident, Heather Swain, main organiser of Women’s Health Week.